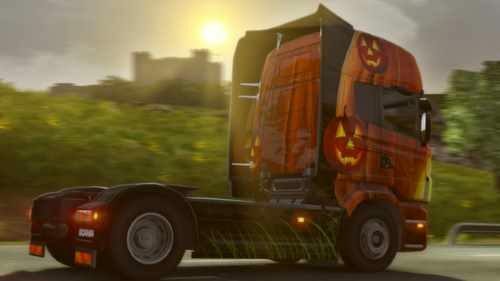 Happy Halloween euro truckers! We want to make sure you are all celebrating by downloading the best mods and also we would like to recommend you to get the Halloween Paint Jobs Pack to make your experience in the game better! Keep on truckin’ and stay safe on the roads (especially tonight)!